The big bad wolf is cholesterol, and to keep the wolf from the door we have to watch out for fats. For years I’ve been trying to cut back on saturated and trans fats and to increase my intake of Omega-3 fatty acids. I’ve been doing what I was told. That means a lot less cheese and a lot more skim milk. I love cheese like I love chocolate, so this is a real challenge. I used to drink a lot of milk, but now I throw out more than I use. Another bad wolf in my life is bone density, and I know that my DNA predisposes me to osteoporosis. So, I’ve been taking the prescribed medications and walking often to try to ward off the evil dowager’s hump. 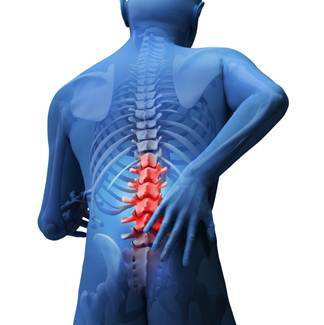 Recently, though, I’ve been having back problems. It turns out that I have an old injury that was a compression fracture in one of my vertebrae and another vertebrae that seems to be stuck. I’ve been seeing a physiotherapist and doing exercises to try to get it moving again. It came as a surprise, therefore, to realize today that some nations’ spines are longer and stronger than others. Not only that, but some have been getting longer over the last hundred years, while others peaked in the seventies and started to decline. From an article by Randal Olson I learned that the star of this growth is the Netherlands, and the obvious underdog is the USA. 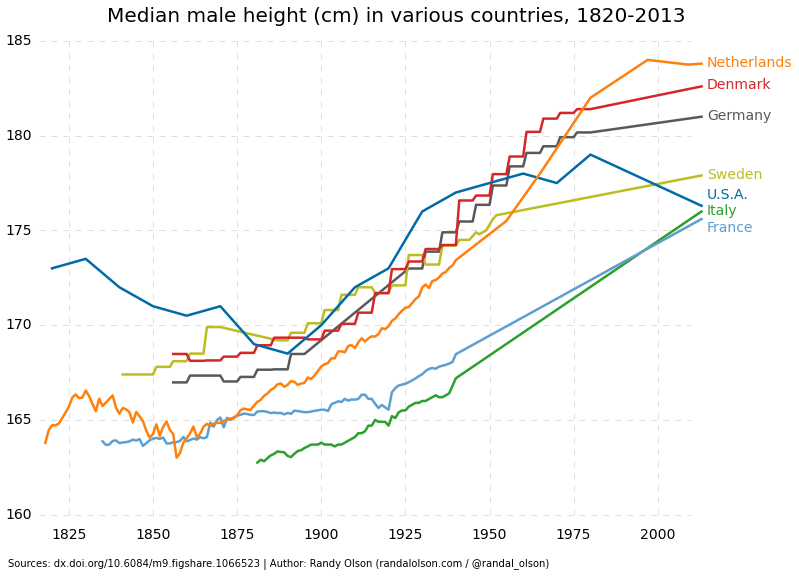 The researcher theorizes that the reason the Dutch have been getting taller is because a century ago they started to share the wealth and more people had access to good diets. In addition, if you read through to the notes at the end, you will see that there is also an observation that the Dutch eat more cheese and drink more milk than the rest of us. Does this mean that the Dutch have long strong spines and bad cholesterol? Do I have to choose between having a strong back and clogged arteries? If so, I would rather not know. That’s not a choice I want to make. There are so many studies and articles and opinions…And any “rules” come from opinions in my opinion! LOL. I saw a doctor on PBS, I think it might have been Dr. Furman say Cholesterol is not the bad wolf. (I don’t believe he was advocating dairy though), but certainly more healthy fats including nuts. And so much of what we hear is run through the all powerful & greedy drug companies…For instance “normal’ cholesterol used to be a higher number, but as I heard the story from more than one source, they weren’t selling enough cholesterol drugs so they had the normal range lowered. Scary thought. I believe we all have to figure out what works best for us. To listen to our bodies which give us aches and pains and lethargy and lots of signals that what we’re eating isn’t best for us while other things we eat can make us feel clear headed, energetic and either without pain or reduced pain. I’m all about being my own scientist. It’s to the point where I would stop listening to all of it, if I could. Pharmaceutical and dietary supplement companies have a lot to answer for.